The games industry employs a diverse range of people in a number of different roles. Over the next few months, BBC News is going to profile a range of jobs in the industry, as well as the firms themselves; talking with the people who actually do the work as they tell us what exactly they do. It is a wet cold morning in Horsham, in the depths of Sussex. But in a typical office block, one company is doing something rather unusual. Creative Assembly is putting the finishing touches to their latest strategy game: Empire Total War. Set just after the middle ages, the game puts you in charge of one of the emerging European nations as they strive to expand their empire using a combination of diplomacy, politic, and brute force. At your disposal are your subjects, who can be press-ganged into the navy, conscripted to the army, or put to work in the cities helping to fill the nation's coffers. Creative Assembly is one of a number of British game developers who between them employ thousands, make millions and have made the UK a market leader in video game development. British developers have been behind some of the most influential games of the past 25 years: Grand Theft Auto, Tomb Raider, Jet Set Willy, Syndicate, Transport Tycoon, and Elite. But outside of the game industry, few people have heard of the companies behind the successful titles. 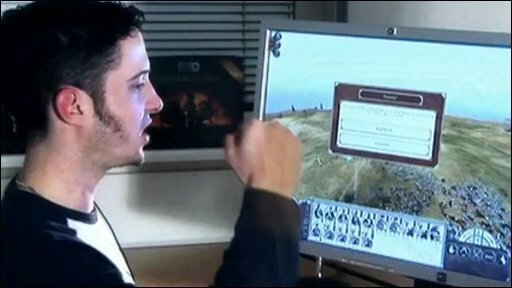 Creative Assembly started life, like many British developers in the 1980s, with a young man writing programs in his bedroom. 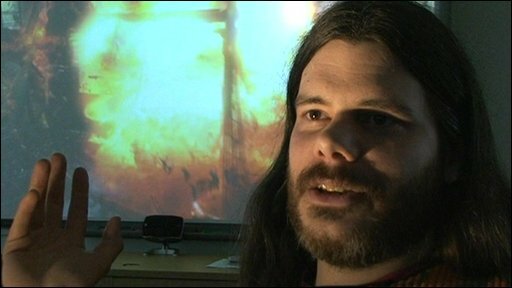 Tim Ansell, the company founder, cut his teeth porting Amiga and Sinclair titles to the PC, founding Creative Assembly back in 1989. The firm spent the first 10 years developing sports titles for the likes of Electronic Arts. They helped port the first FIFA, developed by Extended Play Productions onto the PC, as well as creating the Rugby World Cup and 1999 Cricket World Cup titles. In 2000, the firm branched out into strategy games launching Shogun: Total War, a hybrid between real time combat with turn-based strategy. Players assumed the role of seven diamyo's - feudal Japanese warlords - and attempted to unite Japan under their banner. Back then, turn based strategy games were two a penny, but Creative Assembly did something radically different: battles were conducted in real time and entire armies were displayed in 3D - replete with men wielding weapons - which created a whole new dimension in gameplay. The game swiftly built up a cult following and the sales rolled in. So much so, that the firm has pretty much focused all of its efforts on the series, with Empire: Total War being the fifth in instalment. Today, the firm employs 130 people in the UK and also runs a second studio in Australia. However, with greater size comes greater risk. The firm's creative director, Mike Simpson, told the BBC that things had changed radically over the past 20 years. "When I first started in the industry, we had a budget of £3,000 and a three-month window to make a game. And that was with a part-time programmer. "If you make a hit game, you make good money out of it. But you only need to fail once or twice in a row and you're dead." For many British developers, the spiralling costs and financial exposure meant that going it alone was no longer a sensible option. Many have now been bought up by one of the big video game publishers, although some have managed to retain their independence and creativity. Creative Assembly is no exception. In 2005, the company was bought out by the Japanese publisher Sega. Mike Simpson said it was a mutually beneficial decision that gave them security and Sega a secure supply of games. The battlefields of Total War are almost as brutal as the cut and thrust of business and finance.